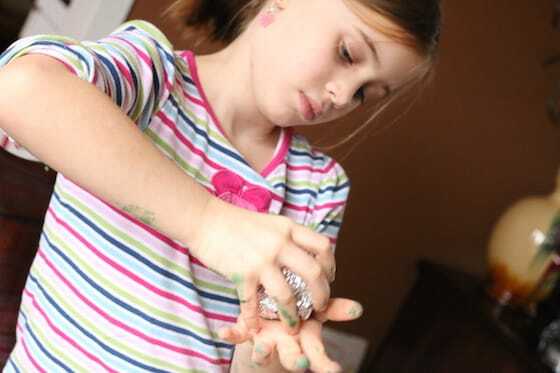 Home » Crafts for kids » Holiday Crafts » Christmas Crafts for Kids » Tin Foil Tissue Paper Ornaments – So Easy, So Pretty! 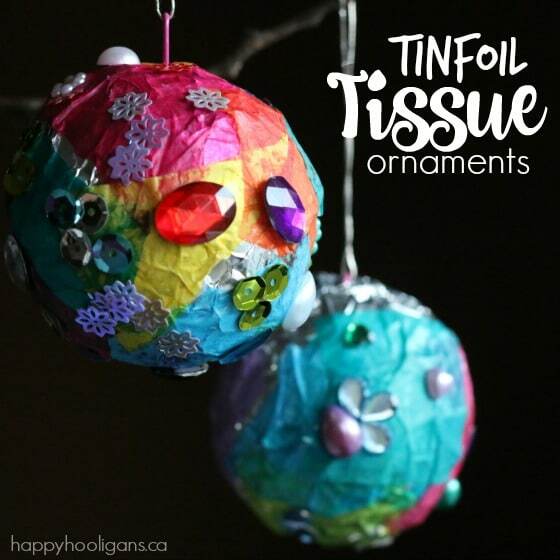 Tin Foil Tissue Paper Ornaments – So Easy, So Pretty! We’ve made a number of crafts with tin foil and tissue paper here in my daycare, and this one is my new favourite. 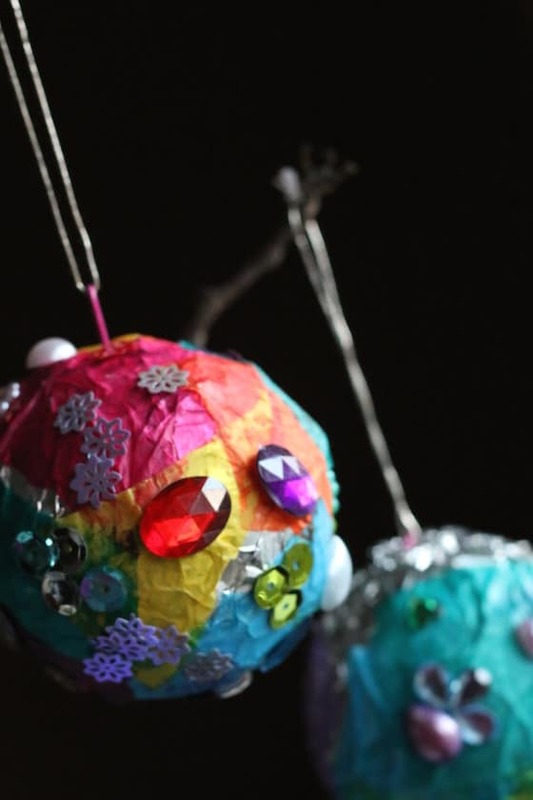 These tin foil tissue paper ornaments are easy for kids of all ages to make, and for a simple, inexpensive craft, the results are beautiful. The inspiration for these ornaments came from these super-easy tissue paper ornaments we made last week. 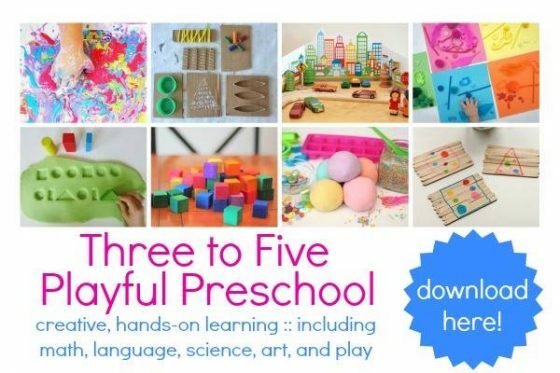 There’s lots of fine motor action going on here, making it a great craft for preschoolers. 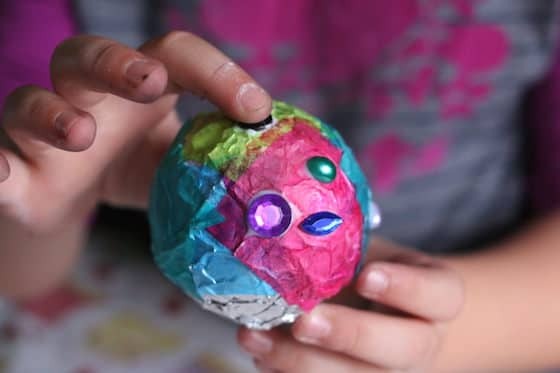 Older kids will also enjoy making these ornaments, as they can create their own patterns and designs on the ornaments using a handful of craft gems. 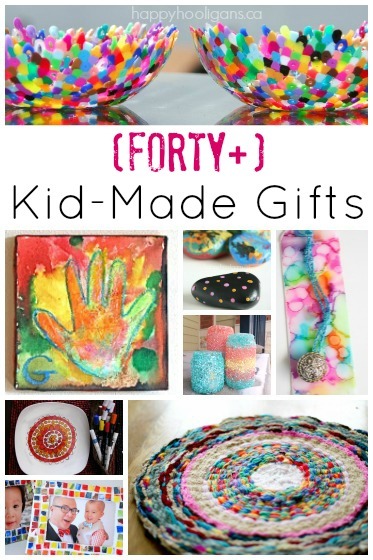 This is a great craft to keep in mind if you need a last-minute Christmas activity for the kids as the holidays approach. 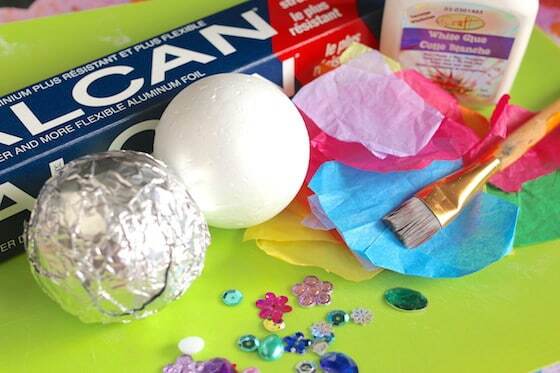 Have your child begin by wrapping the styrofoam ornament with tin foil. 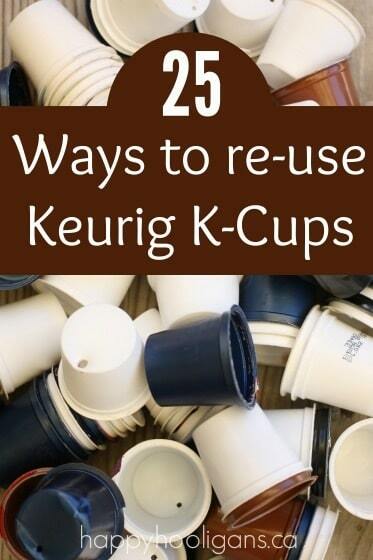 Tell them to really squish the tin foil tightly to the styrofoam ball. This will ensure that the ornament is fairly round, and not too lop-sided. 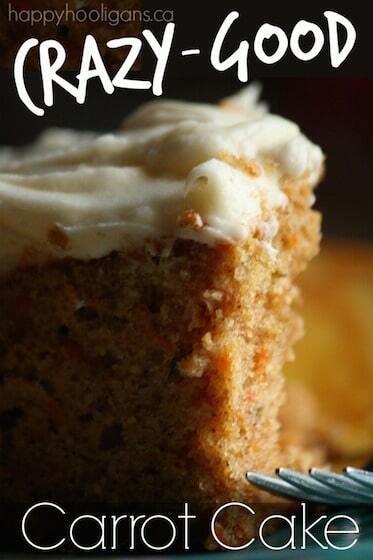 Next, mix a tablespoon of white glue with a few drops of water. 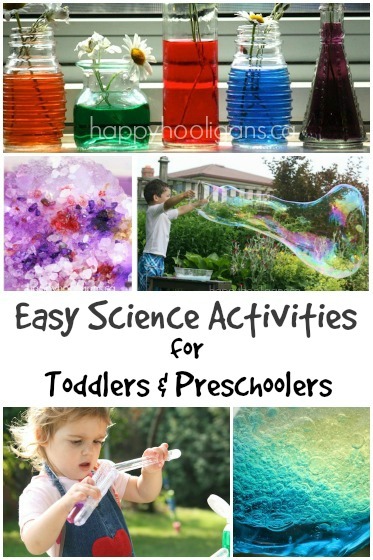 With a paintbrush, spread the glue and water mixture over the ball. 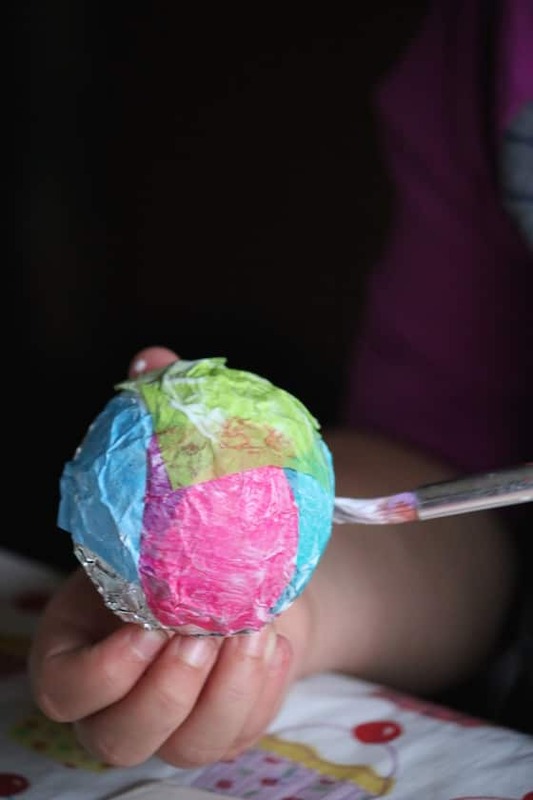 Then you’ll pick a small piece of your coloured tissue paper, and press it to the ball. 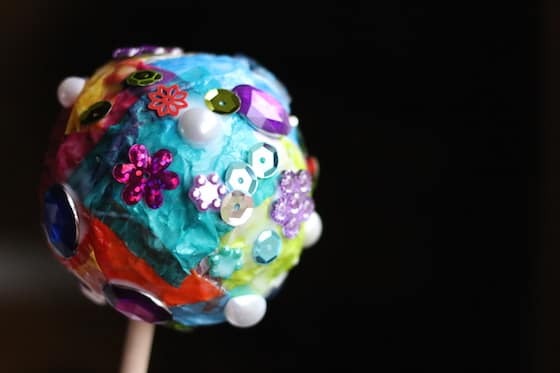 Use the paintbrush to smooth the tissue paper over the tinfoil, like you would if you were doing decoupage. 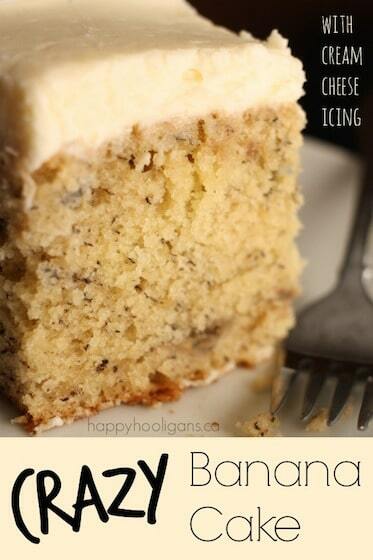 Leave some tin foil peeking through between the pieces of tissue paper. You’ll get a nice mix of colour and silver foil this way. When your child has finished gluing the tissue in place, set the ornament on top of a cup or a jar to dry. When your ornament is dry, it’s time to glam it up with a bit of “bling”! We dug into our supply of crafting jewels, and we glued a variety of coloured stones, gems and sequins all over our ornaments. 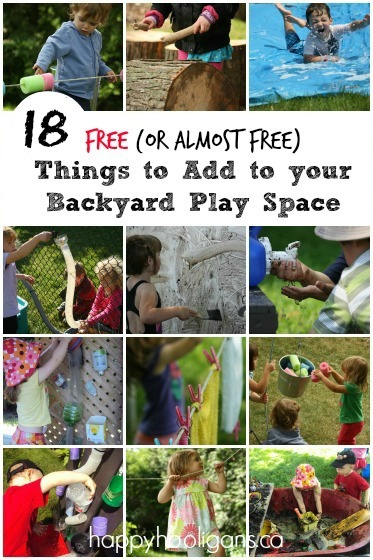 Older kids can be methodical with the placement to create some awesome designs and patterns. To make it easier to handle the ornament while we were gluing, we we stuck a craft stick into each of our styrofoam balls. This made it easier to hang onto the ornaments as we decorated them. 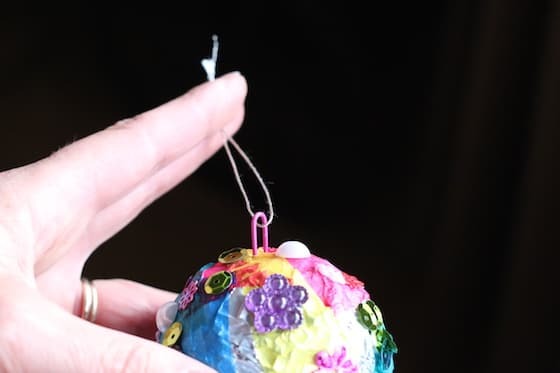 When the ornament is finished, you’ll need to make a little hook to hang it from. Cut a paperclip in half, and loop a piece of string, ribbon or cording through the open end. Press the cut ends of the paper clip down into the ornament, trapping the string in place. Knot the ends of the string, and your tin foil tissue paper ornament is all set to hang on your Christmas tree!